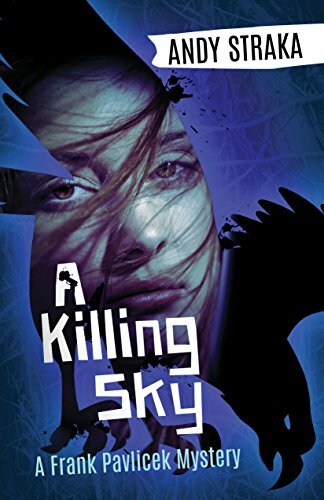 In the second book of the very promising Frank Pavlicek detective series, A Killing Sky, set in the Charlottesville area, Frank is hired as an investigator by the daughter of a shady Virginia congressman. Her twin sister has vanished, and although everyone thinks she just ran off, Frank’s client suspects something bad has happened to her. What really troubles her is that the girl had been investigating her own father, some of whose activities have been shady – to say nothing of his serial womanizing and a possible hit and run killing. Frank starts looking into it all, and the congressman’s “staff” – in classic hard-boiled fashion – immediately raise his suspicions by stonewalling him and threatening violence. But there’s also the boyfriend the girl recently dumped, who doesn’t look innocent either. Meanwhile, Frank is preparing himself emotionally for his daughter’s departure for college, and trying to talk her out of joining him in the PI business. It’s also time for him to release the falcon he’s been training into the wild. Good book. I still find Frank a little dull as a character, but the story is well told, and the writing is above average. Also, Christianity (represented by Frank’s girlfriend) is treated with respect. I noted one obscenity in the book, which makes it pretty clean by contemporary standards. Recommended.